With the modular check system developed by Cardioscan, valid body data can be measured in just a few minutes. 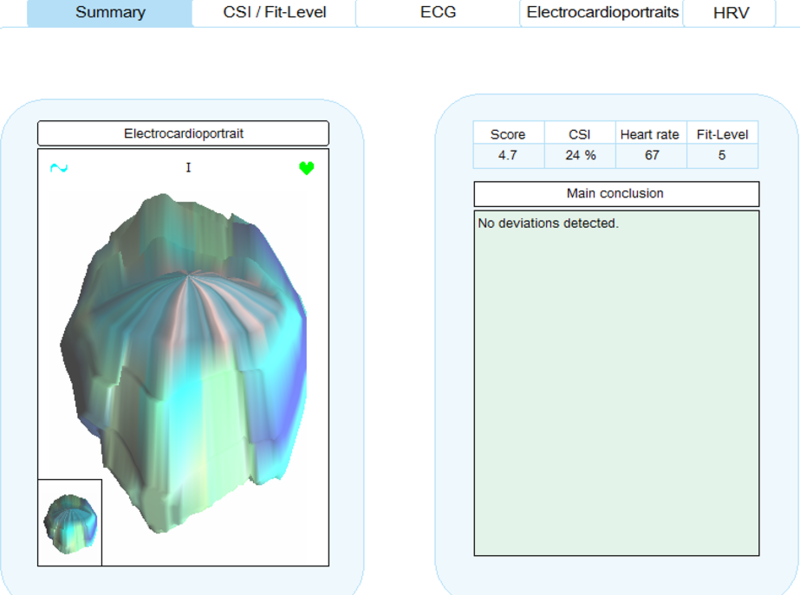 This way Cardioscan secures competence for health. 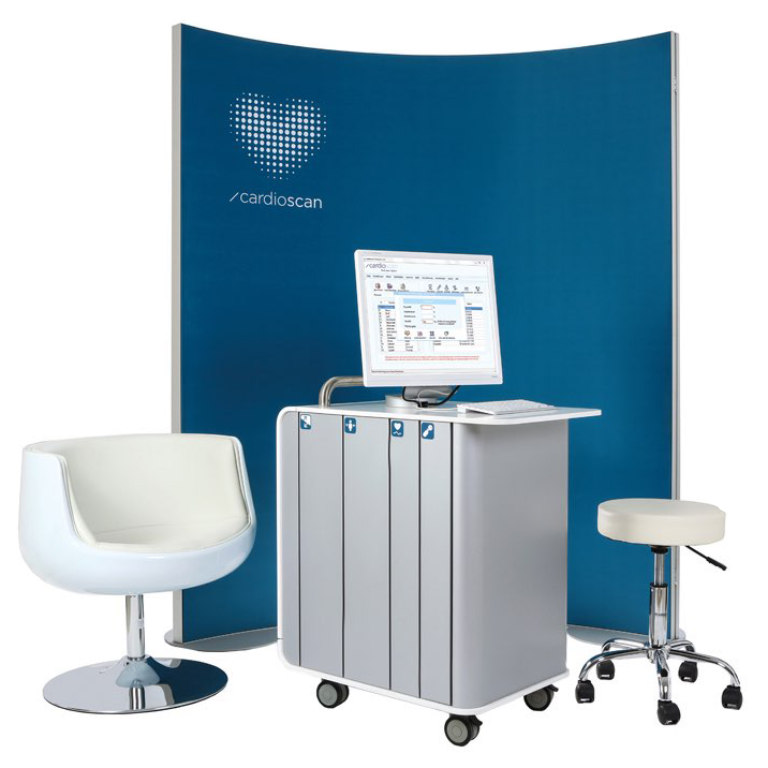 Cardioscan offers its products as an all-round concept. This includes the Cardioscan Test Centre. This is how Cardioscan Checkpoint is integrated into the process in a fitness studio or doctor’s surgery. The unique point about Check Point is the Test Center is made to measure. In other words, it is adapted to fit the spatial requirements and options available in your studio or surgery. Health, an initial check-up and monitoring are all given a professional look this way. Your customers will actively enquire about the test service, forming an additional way for you to acquire and keep new customers. The Cardiac Stress Check is a vitality check carried out on the basis of an ECG, which measures and analyses relevant risk factors for your heart in detail. Cardioscan generates a precise ECG 3D heart image here, determines your individual stress index, ascertains your fitness level and gives training recommendations – the ideal basis for safe and optimised training. Blood pressure & lifestyle – for more peace of mind. The lifestyle module measures and documents blood pressure and other relevant risk parameters that every medical professional investigates when compiling a vitality profile on your medical history. Together, this data results in the individual training intensity. 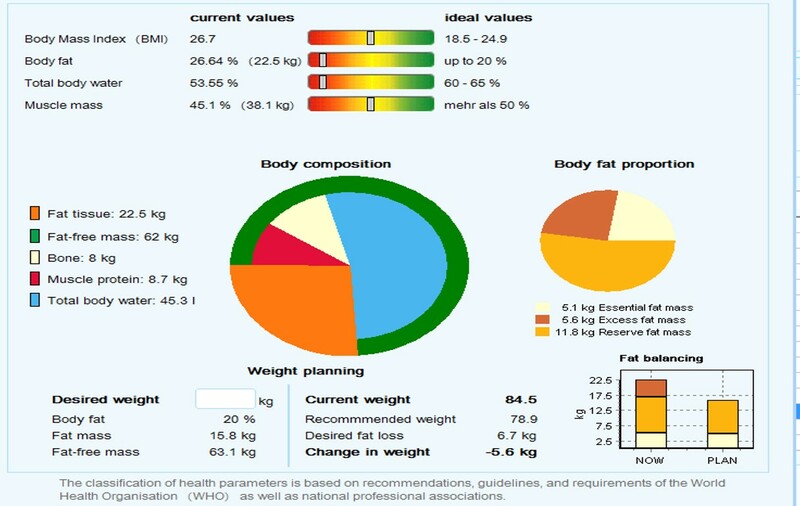 The body composition is determined using the Bodyscan. From the measurements, weight and the ratio of body fat, fat-free mass, bodily fluids and muscle mass are derived and training successes are documented – the motivation for regular training. 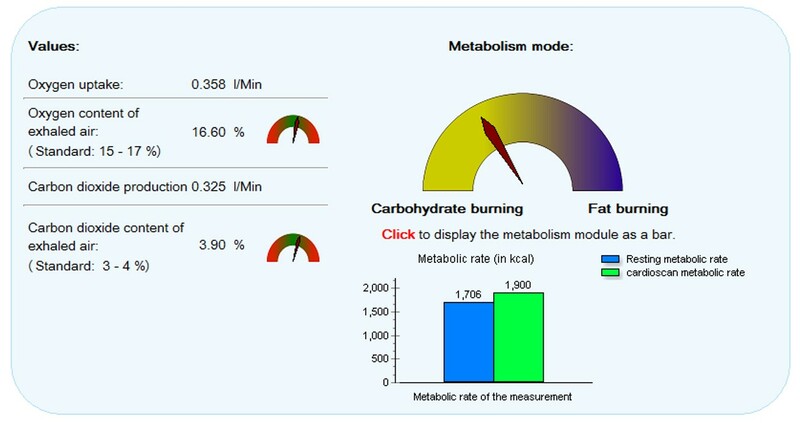 The metabolism analysis measures the individual metabolism profile. This data also provides information about the burning of fat and carbohydrates – the basis for a highly efficient training and nutrition program. © 2018 BITBRO. All Rights Reserved. Designed by cpcodevalley.